In previous series, we have discussed how people in Jesus’ society used the labels of “righteous” or “sinner” to politically, socially, economically, and religiously gain power and privilege for themselves or to marginalize and exploit those who were vulnerable. (You can review this in The Lost Coin and Solidarity with the Crucified Community.) This week I want to build on this idea. In that society, how well a person conformed to popular interpretations of the Torah determined where they fell on al spectrum between righteous/sinner or clean/unclean. The more righteous or “pure” one was deemed to be, the more their society centered them. They were more privileged. They had power. They were the elite. Two groups in the Sanhedrin that competed for power were the Sadducees and the Pharisees. The Sadducees interpreted the Torah more conservatively than the Pharisees. This made conforming to their interpretation much more difficult. In many cases, their definition of “righteous” was only viable for those who had the economic means to conform, i.e. those with money who could afford to live the way the Sadducees deemed pure. This ensured that the Sadducees remained in power under the guise of fidelity to the Torah. This was a social, political, economic and religious system that produced winners and losers. In this context, an itinerant Jewish teacher from Galilee named Jesus emerged. 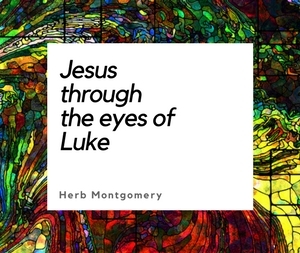 He stood apart from both schools of interpretation and came preaching a gospel where the “kingdom” belonged to those left out of both the Sadducees’ and Pharisees’ determination of who was righteous. With this in mind, read carefully the following passages. Today in the U.S., our system creates winners and losers, too. Politically, we also have two parties that compete for popular approval while gaining power in a system that still privileges the elites. Economically, our system produces enormous wealth disparity, with those who “have not” being the natural result of creating those who “have.” Socially and religiously, we have complex systems that create an us versus them worldview and label those who are in and those who are out. These societal structures all function based on the variables of race, gender, sexuality, gender identity and expression, current economic status, ability, age, education, ethnicity, religion, criminal record, and more. Our interconnectedness, our part-of-one-another is continually ignored. Rather than seeing every person’s differences as a testament to the rich variety we possess as a human family, we use these differences to “other” in ways that label some as “righteous” and others as “sinner.” Those of us whose differences place them in a minority category are still members of the human race, and still part of us. 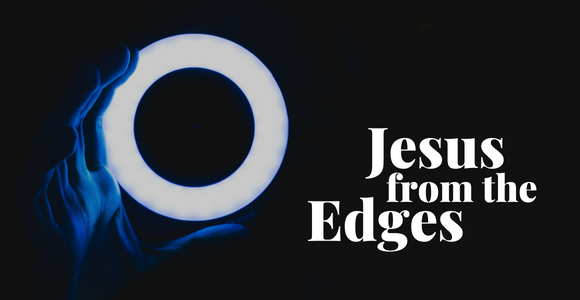 What does it mean for a Jesus follower to take seriously Jesus’ solidarity with those relegated to the margins and/or undersides of his society? How can we live out that kind of solidarity in our context today? What does it mean to stand and work alongside those who are pushed to the edges of our society? In the 1960s and 1970s, Christians developed a keen awareness of Jesus’ solidarity with those labeled as outsiders, oppressed, marginalized and/or exploited. This emergence was global. In South America, Latin Liberation theology was born. In North America, other liberation theologies, such as Black Liberation theology, Feminist theology, Amerindian theology, womanist theology, and queer theology arose. In the east, Asian theologies of liberation were born. Gustavo Gutierrez comments on the importance of this rising consciousness. From the experiences of those now in a social location similar to the social location of those Jesus taught we can see how those teachings help us in our work of making our world a safe, just, compassionate home for everyone. As someone who has been engaged in ministry for over twenty years, these perspectives, voices, stories of people fighting to reclaim their humanity in the context of their faith traditions have been the key to helping me rediscover and reclaim my own humanity as well. I resonate deeply with the words of Aboriginal elder Lilla Watson, “If you have come to help me, please go home. But if you have come because your liberation is somehow bound with mine, then we may work together.” I don’t work alongside communities working for survival and liberation out of charity. It is beside them that I rediscover my own humanity, too. If one is new to these perspectives, where does one start? One place to begin is by exposing yourself to the writings and works of those who belong to these communities. An easy way to do this is to follow our yearly reading course at RHM. We announce each month’s book at the beginning of each month. You can sign up to be notified of each month’s book by signing up for our weekly news and eSights emails here. The point is not so much where one begins as it is to simply begin. One resource will lead you to another, and over time, you’ll see the difference these voices make to you. What does it look like for us to do the same in our time? Pick a book from our book list at RHM that you as a group can read and discus together. Read a chapter a week and determine a time each week you can meeting to discuss together what you have read. Discuss how you can put what you’ve read each week into practice and do so. I’m so glad you checked in with us, this week. Wherever you are today, keep living in love, survival, resistance, liberation, reparation and transformation. Till the only world that remains is a world where only love reigns.